Since 1995, the Paso del Norte Health Foundation has operated as an advocate for border health care issues. As one of the largest private health care organizations, the foundation offers a wide range of programs and initiatives; all focused on improving health care education, leadership, and delivery along the U.S.-Mexico border with specific focus on the West Texas, southern New Mexico, and Ciudad Juárez areas. 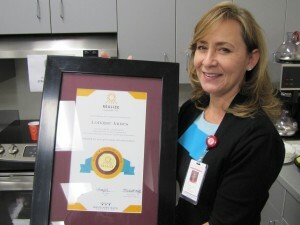 The REALIZE experience is one such program and Lorraine James, senior director for the Office of the Dean, has brought this certification to the Gayle Greve Hunt School of Nursing (GGHSON). It starts with a nomination, an application, letters of recommendation, essays, and an interview with an executive coach. The entire selection process takes more than three months and only 20 individuals out of a large pool of candidates are selected to participate. As one of those individuals, James was immersed in a program designed to make her an expert in transformative leadership. Starting with a personalized 360 leadership assessment, James was able to learn new ideas and skills through a plethora of resources. 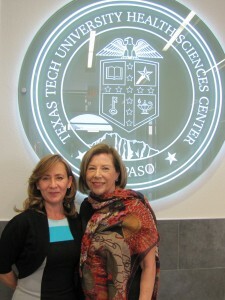 She was paired with an executive mentor, participated in off-site transformative experiences, received growth assessments throughout the program, listened to guest speakers such as renowned authors Jay Conger and Margaret Wheatley, and networked with other community leaders across the Paso del Norte region. “The REALIZE leadership experience focuses on the key leadership attributes that motivate and achieve high levels of employee performance and that a leader should model every day,” says James. James becomes the first and only individual at the GGHSON with a REALIZE certification. GGHSON Dean Jeanne Novotny, Ph.D., R.N., looks forward to the additional leadership skills that James has acquired.